Sara’s Promise By: Deanna Sletten – Soon to be released. Good Monday morning blog friends. I want to make a special early morning blog for an author friend. Check out Sara’s Promise by: Deanna Sletten. The information is listed below with descriptions and release dates. From what I’ve read you will not be sorry. Sara looked up at him, the man she’d spent almost half her life with, the man she knew she’d spend forever with. His wavy black hair was damp from the shower, curling gently at his temples and neck. He wore it longer than fashion dictated these days, and she liked it on him that way. She always had. She placed her hand on his chest and snuggled up next to him. He felt warm and smelled of soap and shampoo. He felt good. “They still need me more than they think, even at their ages,” she said into his chest. Sara smiled appreciatively. It was rare for William to acknowledge all that she did. She knew he appreciated it all and depended upon her completely. He worked long hours at his business, as well as putting in several more hours each night at home, and her being available to the kids twenty-four hours a day made it easier for him. He never had to worry about being home at a certain time, who’d feed the kids, who’d pick up the dry cleaning or who’d fill the refrigerator with groceries. It was all done, magically, quietly, completely, by Sara. Holidays, birthdays, vacations, everything was planned by her and her alone. And she loved doing it. But it did make it feel all the more worthwhile when he acknowledged the work she put into family and home. Sara pulled away and looked up at him, her expression serious. “Then it’s a good thing none of you will ever know what that’s like,” she said with certainty. It was William’s turn to laugh, not unkindly. He loved her artistic ways in everything she did. Especially in the way she viewed love and life. Sara raised her lips to his, and they kissed, soft and sweet at first, then turning warm and passionate. Soon they were naked in each other’s arms with a passion that only years of loving one person can bring, and Sara once again showed him just how sweet forever could be. In celebration of Deanna’s new book release she is having a giveaway! Leave a comment on this site to have your name entered in the drawing for one of four prizes: Two $25 Amazon Gift Cards and 2 paperback copies of Sara’s Promise. Be sure to include your email address so we can contact you. You can enter at each site of the blog tour for more chances to win! Giveaway starts December 10th and ends December 17th at midnight. Winners will be contacted December 18th after noon. Categories: Books, Heart, Inspiration, Love, Monday, Passion, Published Books, Romance, Uncategorized, Writing | Tags: Authors, blog tour, book, giveaway, New Book Release, Romance, Sara's Promise | Permalink. It’s Thanksgiving week if you haven’t looked at your calendar. This year has flown by. I was sitting in Church yesterday which is an oddity for me because normally I’m downstairs with the children. It was a special Thanksgiving service, so I brought the older children upstairs for the sermon. The band started singing a song called “Thank You”. It really hit me that as a whole we are not thankful enough for what we have. I was humbled at the thought. So many of us, me included, are so busy that we don’t take time to be thankful for what we take for granted. Here is my list of things I’m thankful for. 1: First and foremost I’m thankful for a forgiving Savior, because I need forgiveness. 2: My wonderful family. I am biased, but I have the most special family. I have a great husband who supports me in all I do and a wonderful son who helps me with anything I need and he’s a great kid. 3: My business. I own a accounting business and it is right beside my house. How many can just walk out the door and be at work in 30 seconds. 4: My writing. I am thankful for the fact that I can publish my writing and people will buy it. It has been a wild ride. 5: Definitely my friends. I have some great friends and that includes my blog friends, my twitter friends and as I call them my cyber friends. I treasure the conversations we have. Take some time this week to be thankful for what you have. As always, good writing and May God bless you. Categories: Author, Books, Children, Church, Experiences, Fun, Holidays, Inspiration, Internet, Journey, Life, Marriage, Memories, Monday, Published Books, Remember, Romance, Thanksgiving, True Story, Uncategorized, Writing | Tags: accounting, children, Church, family, God, Love, sons, thanks, Writing | Permalink. Top 10 ways to get through Monday. It’s Monday! Yes, I know, don’t remind you, but the fact is it’s the start of the week. Well as I sit here, the house quiet, my son at school, my husband hunting (He has the week off), I ponder how to get through Mondays. It’s a question I ask every Monday when my alarm goes off. I hate my alarm, I want to slap it. 1. Coffee, lots and lots of strong coffee. Already had 2 cups, headed for number 3. 2. Going back to bed, I know most of us can’t do that, but wouldn’t it be nice. Have looked at the bed longingly several times. 3. Take a deep breath and just jump into it. 4. Hot shower, stand there until water gets cold. 5. Take a walk in the crisp Fall air. Went to end of driveway and came back shivering. 6. Chocolate, lots of chocolate. 7. Smile, there’s only 5 days until the weekend. You are closer than your were 5 minutes ago. Not close enough. 8. Stop by the local doughnut shop and splurge big time. The sugar high only lasts for a little while, but boy while it’s active you enjoy those moments. 9. Me, I pray for the week ahead. That always makes me feel better. 10. Just accept the fact that it’s Monday and it happens every seven days whether you like it or not, so just go with it and smile. Maybe these 10 points will help you. Remember, the day goes better when you smile and try to make it better. 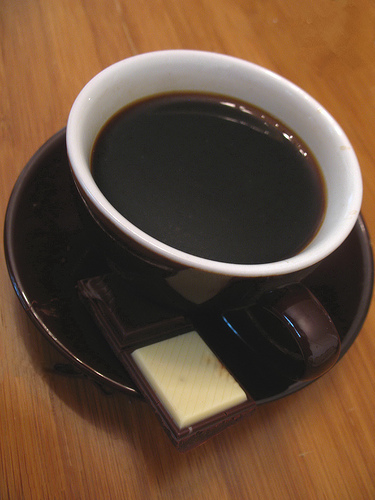 Categories: Experiences, Fun, Life, Monday, Uncategorized | Tags: chocolate, coffee, Monday | Permalink.